This is the freelancers’ rights movement, a social and political quest to protect and improve the condition of independent workers. It is a diverse network of groups and campaigns which are marshalling freelancers to reject some aspects of their atomization and pursue collective empowerment. Though disparate in their demands and approaches, the various strands of the movement are united in their attempt to unite freelancers, which is the first step toward achieving anything. 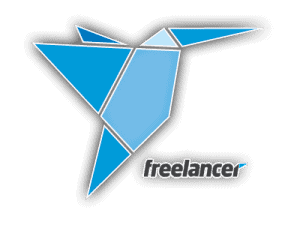 Today there are organizations dedicated to representing freelancers in six European countries and the United States. Some of the organizations involved in the movement are almost two decades old, yet their mission has received fresh impetus as the size of the freelancing workforce grows, and as new groups in other countries arise to join them in taking up the cause of independent workers. But these official organizations are just part of the story: many unofficial and spontaneous actions are flowering, mostly through the use of online platforms and social media campaigns. The potential of the movement is as big as the freelance demographic itself, which – if current trends continue, and if the predictions of some forecasters are realized – could become almost half the workforce in some developed countries. Yet the movement faces enormous challenges before it can claim to represent this soon-to-be-sizeable portion of the population. It must convince individuals to take part; it must create an actionable set of solutions; it must hold together despite inherent fault lines; and it must challenge the same formidable political and corporate powers responsible for the expansion of the freelancing grey zone in the first place. The aim of this book is to introduce the concept of the collective representation of freelancers to the broader public, not the least to independent workers themselves. 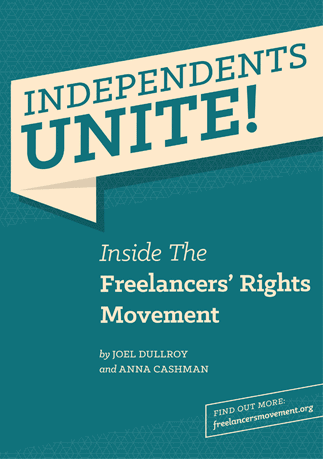 It provides an overview of the existing elements of the freelancers’ movement, with comparisons of the organizations and campaigns currently at work and the goals they are striving to achieve. Casting an eye forward, it offers a set of strategies the movement might take to expand and become effective, drawing on the long history of trade labour unionism, as well as lessons from the relatively recent social upheavals of the internet era. It lays out the conditions which have led to the growth of the freelancing workforce to show how the current situation has been purposefully created through political decisions, and can therefore be altered and improved by the same means. Technology is often credited with the creation of today’s flexible work world, but technology is only part of the story. The ideological reforms started by Margaret Thatcher and Ronald Reagan, expanded and exported ever since, have played the biggest role in carving out a grey zone of employment activity, outside the protections of long-established labour regulations. Seized upon by businesses as a means of reducing costs, flexible labour continues to be trumpeted as the solution to the present economic malaise of Europe and the United States, though with little thought to the condition of the individuals affected by this transition. The shift to a flexible workforce has delivered a polarized independent employment market. Highly-skilled and well-networked freelancers maintain and sometimes expand their earnings. The other end of the market is filling up with those who used to be in the lower-to-middle end of the steady salaried workforce. For them, freelancing can be far from lucrative, with the loss of security and benefits, and a stagnant or declining income. Despite the potential for precariousness, survey after survey reveals that freelancers are happier in their independent state than when on a payroll: only a minority indicate they wish to return to fixed employment. The duty of the freelancers’ movement is, then, to strive for social conditions which satisfy each end of its constituency, both the comfortable and the discontent. The solution lies in creating supporting structures that uphold the benefits of freedom and flexibility, while mitigating the downsides of instability, falling wages and a disappearing social safety net. One thing this book will not attempt is to argue that freelancing should not exist, or that independent workers should be somehow subsumed back into the ranks of the salaried staff. Such a regression would be neither possible nor desirable. The concept of work has permanently metastasized. Technology has given us experiences in decentralization that cannot be forgotten. What can be changed, however, is the condition of the individuals affected by this shift. The structures that surround them – social, bureaucratic, corporate, political, economic – have stayed relatively ignorant of the growth of freelancing, often purposefully so. It is these structures that should be targeted and reshaped, not the opportunities of the people who rely on them. Thankfully the freelancers’ movement has a powerful advantage – the skills of the freelancers themselves, and the mandate inherent in their burgeoning headcount. Freelancers are among the most creative and effective individuals in the employment market, and their cunning can be put to work for their collective benefit. There is power in the freelancing crowd, not just in raw numbers, but in its potential ability to distribute and execute the work necessary to bring about major structural changes. Having announced the existence of the freelancers’ movement and suggested a course forward, this book will track its development. It is intended as the first edition of a text which will be continuously updated, charting each victory and defeat along the way so that the movement might learn and progress. This first edition is intentionally brief: expediency was seen as preferable to bulk, and further research and theory is required to flesh out certain aspects. With a foundational text in place, critical discussions on the topic can continue to develop, in symbiosis with the freelancers’ rights movement itself.